Two and a half weeks ago, Manchester United were flying high. Their 3-0 win over Fulham was their 10th win in 11 matches under Ole Gunnar Solskjaer. They were flying high and ready for a Champions League showdown against PSG. Fast forward to now. United are still unbeaten in domestic competition but suddenly are facing a massive injury crisis. As many as 10 first team players may be unavailable for Wednesday nights trip to Crystal Palace; including five of their first choice front six: Anthony Martial, Jesse Lingard, Marcus Rashford, Ander Herrera, and Nemanja Matic. Solskjaer now has both a selection dilemma as well as a great opportunity on his hands. He can figure out a way to get 11 senior players on the field, including his very underperforming ones, or he can go with his untrusted kids. Going with the kids would certainly be a risk, but history suggests that now is the perfect time to do it. Manchester United academy graduates Angel Gomes, Tahith Chong, and James Garner are all set to travel to Crystal Palace on Wednesday. All three participated in United’s preseason tour this summer and all three have traveled with the first team to various matches. Gomes and Chong both made cameos with the first team in the past two months with neither being that impressive. Does that mean they’re not ready for the Premier League? Guess what, we still don’t know! Taking along youngsters to your preseason tour, letting them travel with the first team squad, and throwing them on for 20 minutes at the end of a cup match is great experience for the player. But what does it teach us about the player? Nothing. The truth is preseason friendlies and cup game cameos aren’t the ideal time to break in a new player. An attacking player coming on for 25 minutes in a 2-0 game isn’t going to be able to do much when the other 10 guys on his team are just trying to see out the match. This is why youngsters who sit on the bench waiting for a few minutes here or there to impress never seem to break through. Andreas Perreira at Manchester United, Phil Foden at Manchester City, Ruben Loftus-Cheek at Chelsea. All three players make the bench pretty often, but by the time they see the field it’s often just to close out a game. They don’t get a chance to show us what they can do. That in turn makes it very easy for fans and the manager to say they’re not ready. Three years ago, Manchester United had two senior strikers, Wayne Rooney and Anthony Martial. When Rooney went down with an injury at the end of January onto the bench came Will Keane. The academy striker who had 10 goals in eight games with the reserves. Every fan was itching for Keane to get his chance, he was the next great Manchester United academy graduate. A few games later, Martial got hurt too and Keane was going to get his chance in a Europa League match against FC Midtylland. 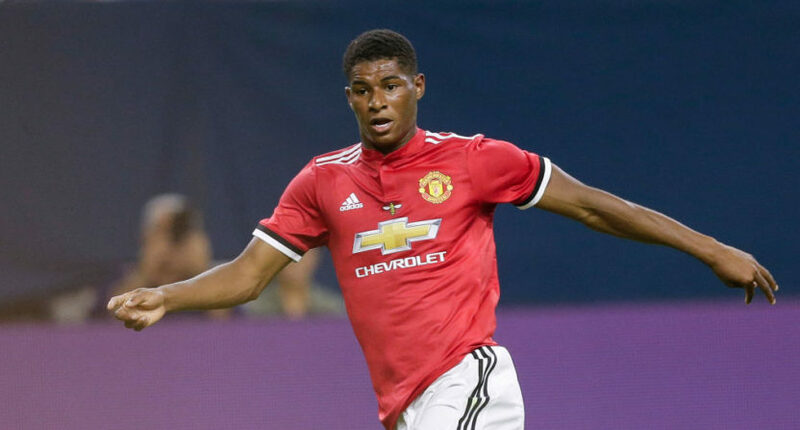 Then he got hurt in the warmup and United had to turn to unknown Marcus Rashford, a player who had been deemed not good enough to merit a spot on United’s preseason tour and up until then not good enough to even get a look. Rashford bagged a brace that night. Four months later, he was representing England at Euro 2016 while Keane never appeared for United again. Too often, managers try to coddle their young players and put them in situations where they won’t feel overwhelmed. That doesn’t actually help the player, all it does is shield the manager from criticism if the youngster struggles in a game. While managing the USMNT, Jurgen Klinsmann famously tried to bring rising superstar Christian Pulisic along slowly. Despite the US needing an attacking spark, Klinsmann kept Pulisic out of the starting XI in every Copa America match. When he did come on, you could see his talent but he struggled to have any impact on the game. After 10 games with the team, Klinsmann finally relented and started Pulisic in a World Cup qualifier against Trinidad & Tobago. Pulisic was the best player on the field that night, he’s been the US’s best player ever since. When it comes to young players, managers use the term “he’s part of our plans” so often that it’s become a cliche. A manager saying that is essentially dooming that player to nothing but cup matches and a few league cameos. “Part of our plans” doesn’t mean anything unless you’re involved right from the start. A year ago, Jadon Sancho was relatively unheard of. He transferred to Dortmund for a paltry £8 million, hardly a sum large enough to demand playing time. BVB manager Lucien Favre didn’t have to say Sancho was part of our plans, he simply showed it. Sancho came off the bench in Dortmund’s six league games, regardless of the score or situation. Those opportunities, along with starts in the first two Champions League games, allowed him to show his class and become a first choice player. Sancho hasn’t relinquished his spot in the XI since. It’s not easy to turn to youth. Managers often shy away from it because if it doesn’t work, all the scrutiny comes back to them. That’s why injuries can be a blessing in disguise. They essentially give the manager a hall pass to try out his kids, free of criticism. Afterall, what other options do you have?